MOGADISHU, Nov 20 2012 (IPS) - As little-known politician Fauzia Yusuf Haji Adan was sworn in as Somalia’s first female foreign minister and deputy prime minister on Monday Nov. 19, the stateswoman who hails from the unrecognised, self-proclaimed republic of Somaliland is tipped to become the country’s “Iron Lady”. This is according to Adan´s political ally Mohamed Daahir Omar, who used to work closely with her in local Somaliland politics, in which he is currently active. “We know Fauzia as a person with strong determination and as an approachable individual who likes to form consensus. But when she has to make a decision, she just goes for it and works to convince others of her way. She was mostly successful, and for that she can be considered Somalia’s Iron Lady,” Omar told IPS from Hargeisa, the capital of Somaliland, referring to Adan’s strong will. Adan, who returned from her first state visit to neighbouring Djibouti on Nov. 18 and missed the official swearing-in ceremony of the cabinet on Nov. 15, takes on the mantle of leadership in a country with a number of tough foreign policy challenges. While details of Adan and her background are sketchy, and she has been reluctant to grant interviews to the press, Omar said that because of her skill as a consensus-builder, the new foreign minister could play a role in bridging the divide between this Horn of Africa nation and Somaliland. One of her first tasks will be to advance tentative and delicate talks between the Somali government and politicians in the northern state. Somaliland unilaterally declared independence from the rest of Somalia following the collapse of the country’s government in 1991. “The talks between Somalia and Somaliland will be an acid test for Adan because as a northerner she will have to show her people that she does not want to force them into a union (with Somalia) that they don’t want. “But at the same time as a key minister in the federal government she has to represent the views of the government – the sanctity of national unity and sovereignty,” Garaad Jama, an analyst from the Centre for Policy Development, a think tank in Somalia, told IPS. Adan, who is only one of two women in the 10-member cabinet appointed by Prime Minister Abdi Farah Shirdon, will also have to deal with the growing friction between Kenya and Somalia over the formation of local administration areas in southern Somalia. The Kenyan military captured the Al-Shabaab-controlled southern Somali port city of Kismayo in late September. The port was one of the key strongholds of the Al-Qaeda-linked Islamist radical group. But Kenya has reportedly been pushing for the region in southern Somalia known as Azania or Jubaland – where Kismayo is the main city – to be given the status of an autonomous state, to serve as a buffer zone between Kenya and the chaos in Somalia. The Somali government has repeatedly voiced its opposition to the creation of such a state, which it fears would become a Kenyan satellite rather than a local administration that would fall under its control. Although Kenya vehemently denied the charges, its soldiers in control of Kismayo’s airport prevented a Somali government delegation from entering the city on Nov. 7, after a local militia leader objected to their arrival. “The signs are already not good, with deteriorating relations between Kenya and the new Somali government and other tough and pressing challenges,” Maryan Muumin, a women’s rights activist from the Somalia National Women’s Organisation (SNWO) in Mogadishu, told IPS. “It seems that the daunting task for the new foreign minister is clear cut and it’s for Adan to deal with the challenges facing her, not only as Somalia’s foreign minister, but as the first woman to hold that post,” she said. Adan will also have to deal with Al-Shabaab, which still poses a threat to the government in many parts of southern and central Somalia. Al-Shabaab, which is opposed to women taking up roles outside the home and has imposed strict Sharia law in parts of the country that it controls, has threatened to target Somalia’s United Nations-backed government leaders. The militant group led a failed attempt to assassinate the country’s new President Hassan Sheikh Mohamud on Sep. 12, his second day in office. 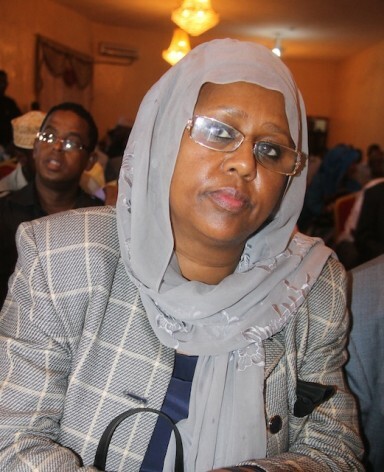 Adan described her appointment as a precedent that will open doors for Somali women. “This is a historic day not only for Somali women but for all Somalia,” Adan said after the announcement of her appointment on Nov. 4. She said she hoped that it would result in the acceptance of women’s participation in politics in this conservative Muslim country. “This is a step in the right direction and we hope that society will finally accept women’s ascent on the political ladder,” she told IPS. But Adan will have a tough road ahead of her. Not everyone has welcomed her appointment. Somalia’s Islamic clergy, for example, said that Adan’s appointment was against the teachings of Islam. “In Muslim society women are given the highest role a human being can take, which is rearing children and being head of a Muslim home. What we hear from the government is in contradiction to our way of life as a Muslim society, and nothing but calamity will come from giving such political leadership roles to Fauzia, not only for her, but for her family and society in general,” said Sheikh Ali Mohamoud, a Muslim cleric in Mogadishu. Somalia despite the secessionist self-proclaimed Somaliland.